In order to provide more exposure to the U16 team for the upcoming U16 AFC Championship and U17 FIFA World Cup, All India Football Federation will be organizing Youth Cup 2016 in Goa starting from May 15. The Youth tournament will be played at Tilak Maidan, Vasco and will see U16 teams of 5 countries compete against each other in a Round Robin Format. 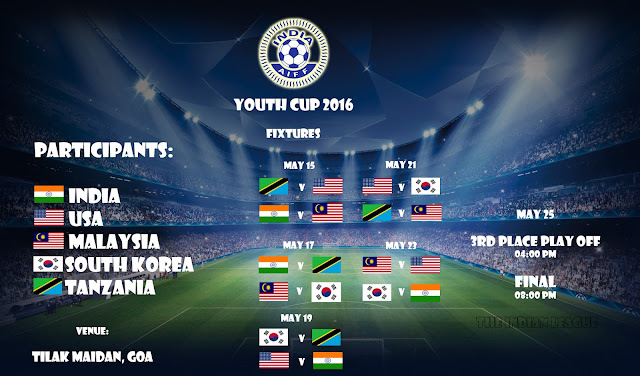 The other teams along with host India are United States of America, South Korea, Tanzania and Malaysia. India's U16 Squad will play in AFC U16 Championship to be held in India between September 15 and October 2 with this tournament will be a good oppurtunity for Head Coach, Nicolai Adams to gauge his team's progress. The four Semi-Finalists of AFC U16 Championship will make it to the U17 FIFA World Cup, which are also to be held in India next year. 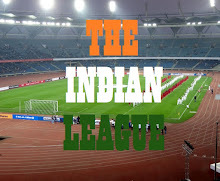 India have already qualified to the World Cup by virtue of being the hosts but will try to finish top 4 in AFC Championship and Qualify on merit. AIFF has organised exposure trips to Germany and Spain in the past for the development of the U16 Squad and this tournament is one of the many such steps.